To go back to previous page, click here or press the back button in your browser. The first line-up... 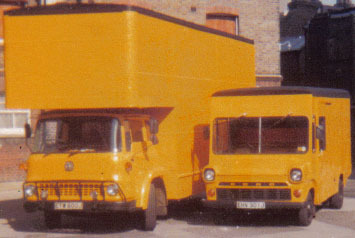 The van that started it all, the J reg Ford Transit (right) and J reg Bedford TK, pictured in all their hand-painted glory in 1979.